Departure Dates can be Anytime! Day 1: 9am pick-up at hotels in San Cristóbal de las Casas. Breakfast at 10:30 at a nice buffet restaurant overlooking the town of Ocosingo and the Ocosingo valley. Tour and climb the tallest Mexican pyramid, Toniná. Later in the day, drive and then hike to Santa Clara falls. Spend the night in Ocosingo at a hotel or bed and breakfast. Day 2: On the way to Palenque, we'll stop for a couple hours each, to see Agua Azul and Misol Há, two of the most dramatic and beautiful waterfalls in the country. Check into our Palenque hotel for the night. Day 3: Tour the pre-Columbian city of Palenque with an excellent English speaking guide, and visit the extensive museum. Learn how and why the Mayan civilization fell apart in 900AD. Spend a second night in Palenque. Day 4: Early morning checkout of the hotel and head to the embarcation point for Yaxchilan, an isolated and well-preserved Mayan ruin on the banks of the Usumacinta River which forms the border of Mexico and Guatemala. After Yaxchilan, see the best of Mayan murals in Bonampak. Drive to Las Guacamayas, a preserve for the Scarlet Macaw, spend the night in their thatched roof cabañas. Day 5: Wake early to the roaring of howler monkeys. Cool morning boat tour up the Lacantún River to see many wild birds including the Scarlet Macaw, sunning crocodiles, and maybe spider monkeys. Breakfast at the Las Gucamayas restaurant. During the heat of the day, we can swim in the river and when the sun sets we'll go for a guided tour of the preserve. Day 6: Early breakfast and departure for a four-hour drive to Lagos de Montebello and Chinkultic with a pit-stop in Maravillas Tenejapa with for a quick look at the waterfalls. Dinner stop at Posada de Santa Maria, an old hacienda. Arrive in the evening in Comitán, check into our hotel and enjoy live music in the Zócalo. Day 7: We will pay a brief visit to Tenam Puente, an ancient rival of Chinkultic, and then go to El Chiflon, the tallest cascade in Mexico for a cooling hike and dip in the turquoise river. Return to San Cristóbal by early evening, drop off at hotels. The tour price includes all nightly accommodations, private and public transportation, entry fees to museums, national parks, and ecological areas. Because of the wide variety of diets that people have, food is not included. There will be ample opportunity for you to purchase any kind of food and beverage you wish. 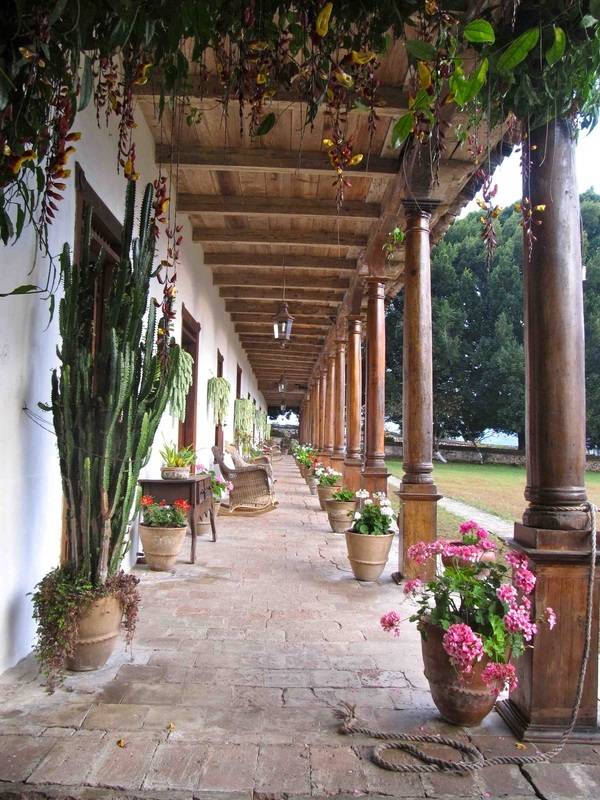 The tour price does not include airfare to Mexico nor initial transportation to San Cristóbal de las Casas. The price is $995.00 US per person, double occupancy. The tour is for a minimum of six people, double occupancy, maximum of ten people. Discounts are available for families that will share one hotel room. If a single person wants to come alone, we'll have to come up with a price based on hotel availability. Fill out the contact form and we'll talk. If you have friends who all want to come on the trip together and fill the tour, we can work out a discount on that too! !